It’s widely known that the Food Standards Agency recommends eating 2 portions of fish per week – and living in Salcombe, this isn’t too difficult. However, we often get asked the question ‘is crab good for you? and we’re here to let you in on a little secret… crab may actually be more beneficial to human health than finfish! 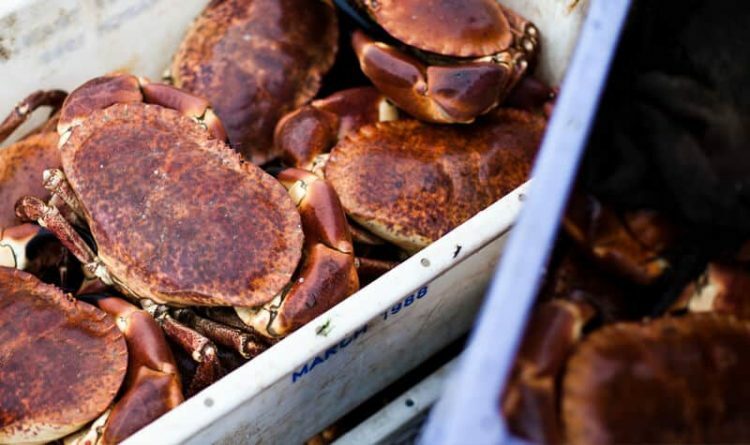 The British shoreline is host to the pie crust edged brown crab (cancer Pagurus) which is caught and mostly shipped across the Channel to France and Spain. There it is consumed with gusto, mainly by us Brits abroad. So why not enjoy crab when you are in the UK? Eating a portion of this nutritious crustacean has incredible health benefits when eaten regularly. Is crab good for you? The answer is a big juicy ‘YES!’ Read on to find out the health benefits of crab. Crab is one of the best possible dietary sources of protein available. It contains almost as much protein per 100 grammes as meats without anywhere near the same levels of saturated fat, which is linked to an increased risk of heart disease. The protein in crab is of high quality and, because of a lack of connective tissue, very digestible for people of all ages. Rich in vitamins and minerals, crab meat is also low in fat and contains Omega-3 polyunsaturated acids. Helps provide protection from heart disease and aids brain development. Some research suggests that Omega-3 also inhibits aggressive behaviour. And it’s not just any old Omega-3 – it’s the long chain variety. These are more beneficial to our health because they can be used immediately, unlike short-chain Omega-3 found in vegetables and oils; they need to be converted to the long chain form first which our bodies aren’t very good at. 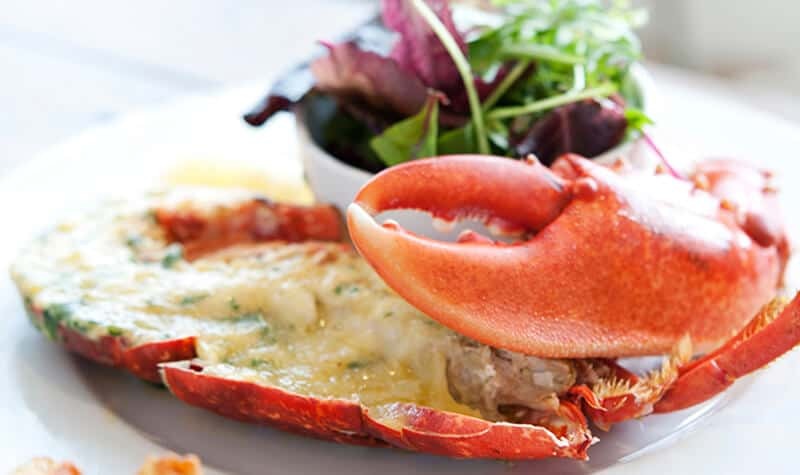 100g of crab provides a third of the UK recommended weekly intake of Omega-3. All shellfish are a good source of Selenium but crab meat is particularly rich in it. Selenium plays a key role in the human’s antioxidant defence system, preventing damage to cells and tissues. Selenium also plays an important role in the function of the immune system, in thyroid hormone metabolism and synthesis in reproduction. 100g of crab meat provides 112% of the daily recommended value for men and 140% daily recommended value for women. Crab meat contains 3 times the amount of Selenium than cod and 12 times that of beef! And take note all you athletes and bodybuilders: turnover of Riboflavin in the human body is thought to be related to energy expenditure, and therefore physically active peoples may have an increased requirement of Riboflavin in their diet. Even though iron usually gets the spotlight, copper is involved in the absorption, storage and metabolism of iron. It is important in the formation of red blood cells and keeps bones, blood vessels, nerves and the immune system healthy. Phosphorus is after calcium the second most abundant mineral in the body. It is a principal mineral of bones and teeth and is, therefore, important in skeletal health and development. Phosphorus is involved in most metabolic actions in the body, including kidney functioning, cell growth and the contraction of the heart muscle. It is also involved in converting food to energy. Do you eat crab meat as part of a healthy diet? We would love to hear about your recipes. Post them below in the comments section. Carry on crabbing! I started crabs some years ago. two weeks ago i bought small quantity Of crabs to cook okro soup. the soup came out well. I used enough crayfish and yellow pepper. I even used perewinkle and kpomo with cowmeat. I just prepared crab source with ugu leaf and wow…, it was great. Wao.. This article is very useful.. It never occurred to me that consumption of crab has a tremendous health benefit.. Though am not in frequent consumption of one but I will really give it a trial… Thanks for this writeup.. I adore crab so much being from Maryland I recall my youngster years during summer crab stands everywhere like Starbucks in wa state. I recently found king crab legs red crab …for a great deal I partake in one for sat and Sunday bfast! Great information. So glad to know my favorite food in LIFE has so many health benefits. One of the best joys in enjoying crab is in an Old Bay seasoned boil. Toss in some corn on the cob and shrimp and get to crackin’! Dip in melted butter, lemon and a pinch of garlic. Heavenly! I boil crab and eat it with organic apple cider vinegar with garlic, and red pepper in it. I like crab,but after consuming,i use to feel a block in my chest,Im so upset. I tried with barbeque style after that i added some salt, lemon & black pepper. Awesome with beer. I made a crab meat salad with pepper and mayo, it was so fluffy and amazing! Cook king crab legs on the grill no seasonings required. About 20 to 30 minutes total. So sweet and delish….add a little butter to dip in or eat plain. I didn’t know the health benefits. So glad to know! such small small creatures have valuable health benefits, nature is wonderful, wow!! i’ii continue to crab forever, By the way what some of the side effect of eating crabs? You end up walking sideways, as opposed to back and forth. I am going to make crab and leek pasties this weekend – I have tried crab before but not mixed with any herbs or spices; I am very excited. I had crab legs last night and will have more today. I was worried about cholesterol issues so I did a google search and found this article. I’m so very happy to learn of the benefits!! !